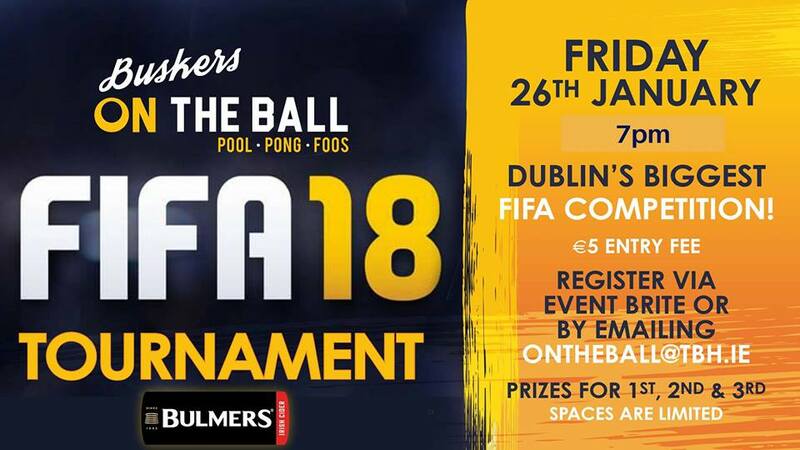 post-title Do you have what it takes to win Dublin’s biggest Fifa competition? Do you have what it takes to win Dublin’s biggest Fifa competition? Home / 2018 / Do you have what it takes to win Dublin’s biggest Fifa competition? Buskers on the Ball on Fleet Street could be said to be the most active and interactive sports bar in the city. They’ve pool tables, table tennis, shuffle board, and now they’re offering you another way to square off against your friends. 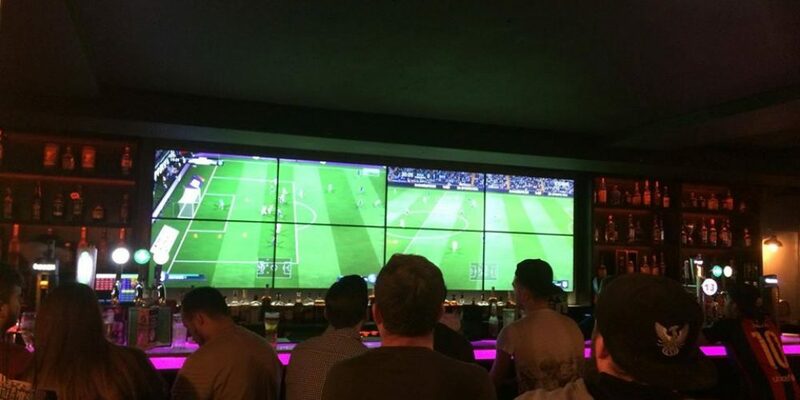 Anyone who grew up liking football and computer games has likely devoted a good portion of their lives to playing FIFA (or Pro Evo in it’s heyday) and dreamed of playing a game on something bigger than their home tv or monitor. 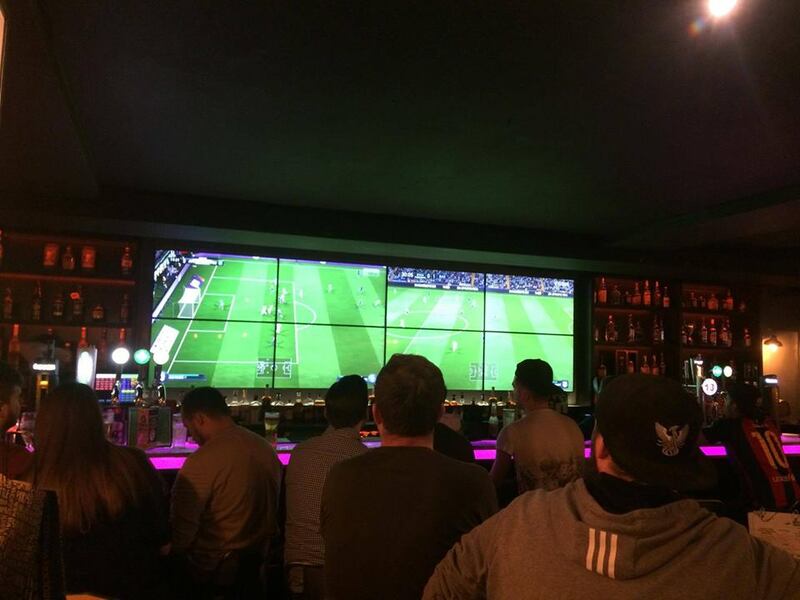 Buskers FIFA tournament will allow you to play on one of the biggest wall screens in the city. It’s really quite massive. They’ll have prizes for 1st to 3rd places on the night and entry is only €5. You can register by emailing ontheball@tbh.ie or via their facebook/eventbrite. Link.